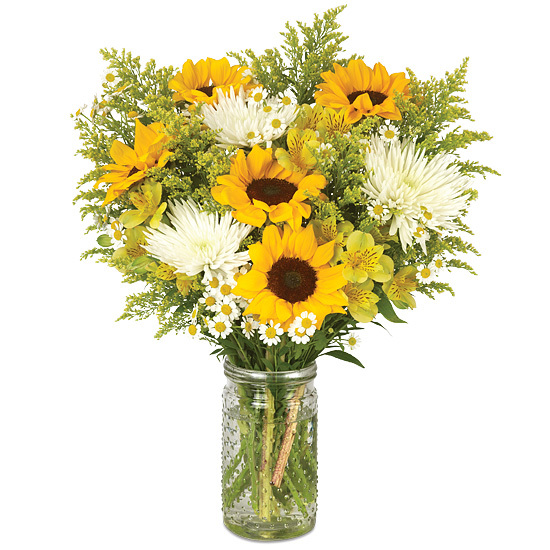 Inspired by the warm, crisp autumn sun; this bouquet has a natural uplifting effect that makes good times great and hard times better. 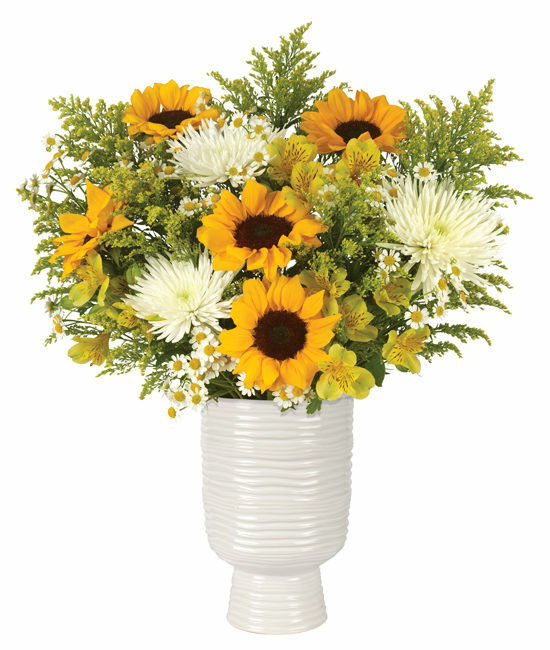 Optimistic mix of sunflowers, white Monte Casino asters, yellow Peruvian lilies, yellow solidago and Fuji mums. 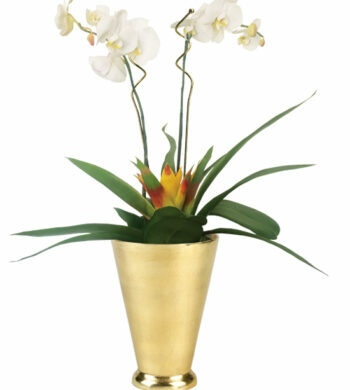 Our white Monaco vase gives it the perfect presentation. Sunflowers have natural, hairy fuzz on their stems. Please remove any leaves or foliage that will fall below the water line. Leaves with discoloration can be removed as well. 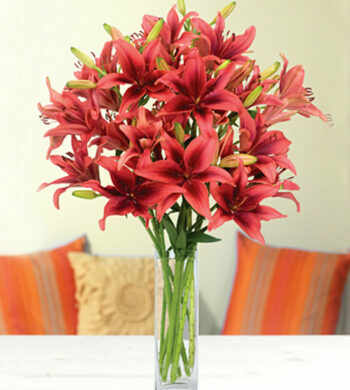 Trim each stem at a diagonal under water to the recommended display height of your container or vase. Don’t be afraid to cut! 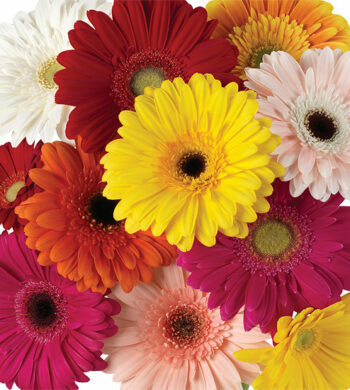 Some varieties of flowers like sunflowers and alstroemeria may look a bit tired or droopy upon arrival. They’re healthy – just thirsty…they will rehydrate within 24 hours. Always add fresh water daily. Change water, clean container and recut stems every other day.